NEXT Ensemble partners with Onstage Ogden to present Bach Festival. In September NEXT Ensemble performed on BYU Radio's Highway 89. In November NEXT Ensemble was invited to perform on The Banyan Collective's podcast. Check out our performance and discussion. 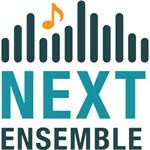 Article in the Standard Examiner about NEXT Ensemble.